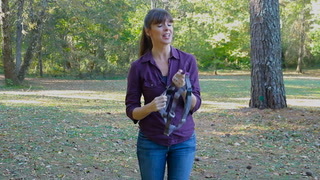 Chaining or tethering a dog is common practice in the United States due to the less structured design of American real estate and lack of fencing between properties. Tying a dog to a stationary object in the front or back garden, enables the dog to be under control outside without owner supervision. However, a study by the American Veterinary Medical Association in 2000, reports that 17% of fatal attacks on humans between 1979 and 1998 were from dogs that were restrained on their property by tethers at the time of the attack, with many of the victims being children. So why are chained dogs more likely to bite a person and why are the incidences of these attacks becoming so common? Tethered dogs have a greater propensity to respond aggressively to an approaching person, even if that person is someone the dog knows, because chaining or tethering a dog for long periods of time causes excessive agitation, increased anxiety and exacerbates aggressive response. Owners of these dogs seem unaware that continual confinement causes immense distress and frustration, resulting in increased reactivity to an approaching person, or a greater desire to chase and bite a person if the dog manages to break free. Some dogs are particularly territorial, becoming protective over space and property. Dogs that are tethered on properties with no fences are much more accessible to the general public, particularly a child. Unable to increase distance between themselves and an approaching stranger, a frightened dog can lash out in self defense. Tethered dogs are also at the mercy of other animals that may wander onto their territory and are at greater risk of becoming tangled in their tethers, suffering injuries. Chained dogs often pace to keep themselves stimulated and have to lie close to where they urinate and defecate. Owners who chain their dogs are often neglectful, providing limited food, water and shelter, leaving their dogs at the mercy of the elements. A dog is a social animal and lack of social interaction can seriously damage a dog’s psychological well-being, particularly if he spends long periods of time by himself at the end of a chain. Many chained dogs live in restricted torment with limited interaction and become highly vocal, barking constantly in an attempt to establish social contact, to release frustration and to self soothe. Some dogs experience a build-up of frustration and anger that explodes at the slightest trigger, while others become withdrawn, depressed and anti-social from lack of social interaction. 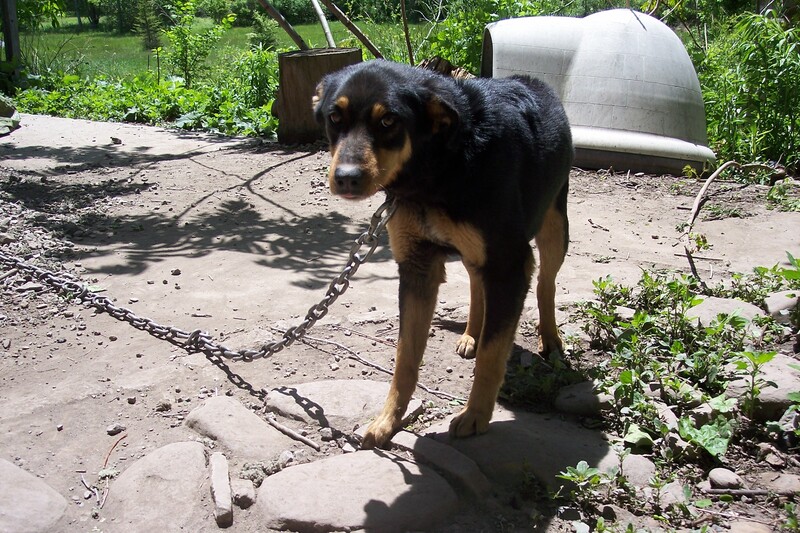 While laws against chaining are present in many cities and counties, the majority of places still allow dogs to be chained for long periods of time. 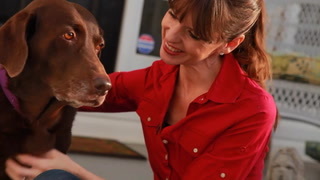 What local laws fail to address is that dogs have physical and emotional needs that go way beyond food and water. Until these needs and the potential danger that some chained dogs pose to the general public (as a result of human failure) is recognized, millions of dogs will continue to suffer a life of torment at the end of a chain. 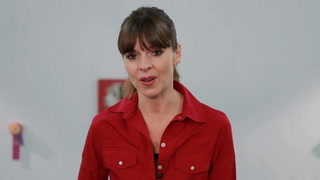 Victoria Stilwell is a world-renowned dog trainer best known as the star of the internationally acclaimed TV series, It’s Me or the Dog. 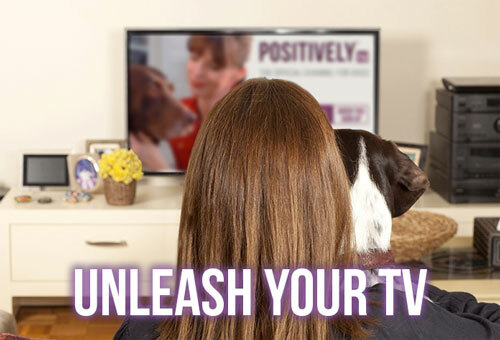 A bestselling author, Stilwell frequently appears in the media as a pet expert and is widely recognized and respected as a leader in the field of animal behavior. The New White House Dog, "Sunny"